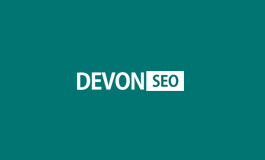 When you’re looking for Mid Devon SEO services, The Devon SEO Co can help you to begin your journey to success. We are an SEO and online marketing company specialising in helping companies to get their websites onto page one of the Google search results. Call 0800 404 5988 or email hello@thedevonseoco.co.uk to find out how we can help kick-start your business to beat your competitors. Integrate your marketing strategy with our internet marketing and SEO services to maximise your business’s potential. Simply ranking a website high in Google is just the beginning of the ongoing process. Once your website is ranking, you need to persuade people to engage with it and to become a customer. Effective SEO uses the science of constructing your website in the specific fashion that Google likes, so you will appear on the first page of search results for certain key phrases. We are Google Partners and Bing Ads Accredited, with specialists in each area of search. Our results speak for themselves in our customer testimonials. We get our clients’ websites to appear on page one of Google’s search results by giving Google what they want! This is why we continue to run campaigns for some of the biggest brands out there, so when you’re looking for a partner you can trust, contact us.